Another day. Another mood. Meet Judy Moody at her moodiest-best, in this laugh-a-minute thirteenth adventure in the international bestselling series. 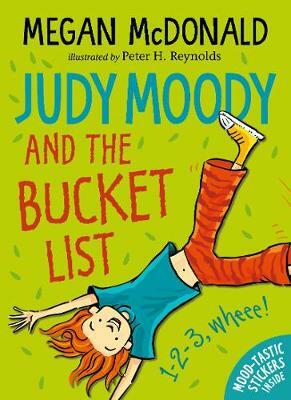 When Judy discovers Grandma Lou's "Bucket List", she comes up with her own list of things to accomplish before the Fourth Grade. That list leads Judy into an array of outlandish situations, and Judy can't help but wonder what it means that her grandmother's list is nearly complete.